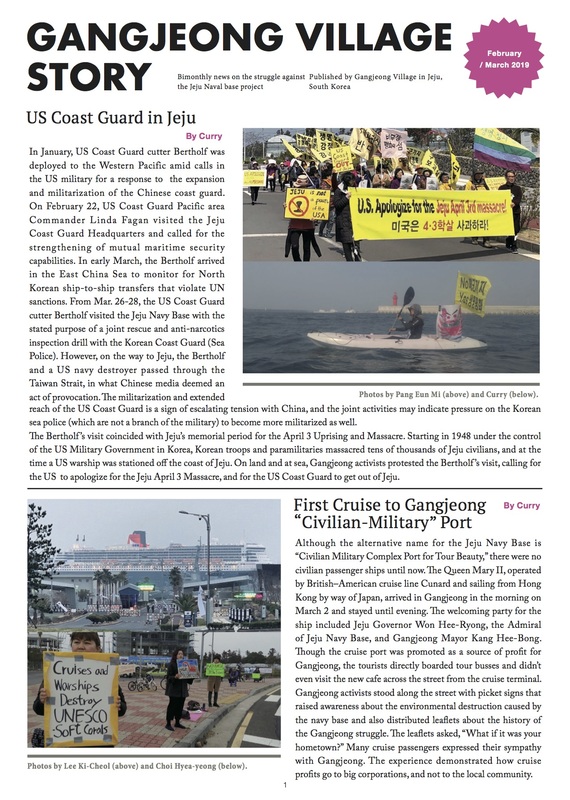 The completion ceremony of Jeju’s naval base took place on February 26th, nearly 9 years after the confirmation of its construction by the state government. Since then, activists and local villagers have obstructed the progress of its development, facing policy brutality and harsh physical and financial discipline along the way. February 26th was no exception, as showcased by treatments of the activists that day in the video. Not all was a display of primitivism, however. 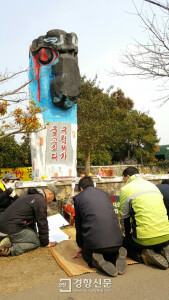 On the same day, the Gangjeong villagers held a memorial ritual right across from the base’s entrance. Under the totem pole, they vowed with the signal that they will protect the village from external forces. This division between the people and the government is as deep as the divide in Korean politics as a whole. Both divisions have prompted the opposition to obstruct the formation of a dangerous creation. For the latter, that is the anti-terrorism bill that has recently been introduced by the ruling Saenuri (conservative) party. This anti-terrorism bill has been promoted in reaction to the recent nuclear developments (or its rhetoric at least) from the North. If passed through, the legislative act will endow the National Intelligence Service (NIS) unprecedented power spy in detail the lives of South Koreans. What monitoring its domestic populations has to do with prohibiting North Korean nuclear tests and development is a wonder of logic. Opposition party members have taken upon this improbable nexus to challenge the bill through filibuster. This method has not been utilized since 1969, which sheds light to how controversial this bill is. The historical revelation also demonstrates the link between the situation of Gangjeong and the general political makeup of South Korea: when a monumentally dangerous force is in creation, a deep divide will naturally result, and the opposition force will find every power necessary to challenge entities designed to harm the people.